Efficiently manage and approve Overtime with different reimbursement options. 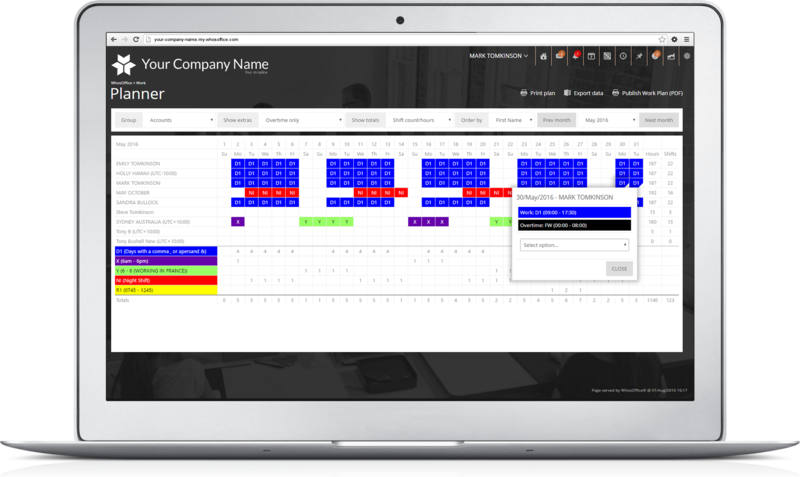 WhosOffice helps your track Overtime very efficiently. You can set up multiple Overtime types and track each period of over time worked across one or many "pots". You can also set multiple approval options and see the overtime worked in the planner and calendar views. Easy reporting lets you review the overtime worked across a period and/or groups. For each Overtime type you can set how that over time is reimbursed - by pay or allowance, the rate of reimbursement and manage where that overtime is accumulated. 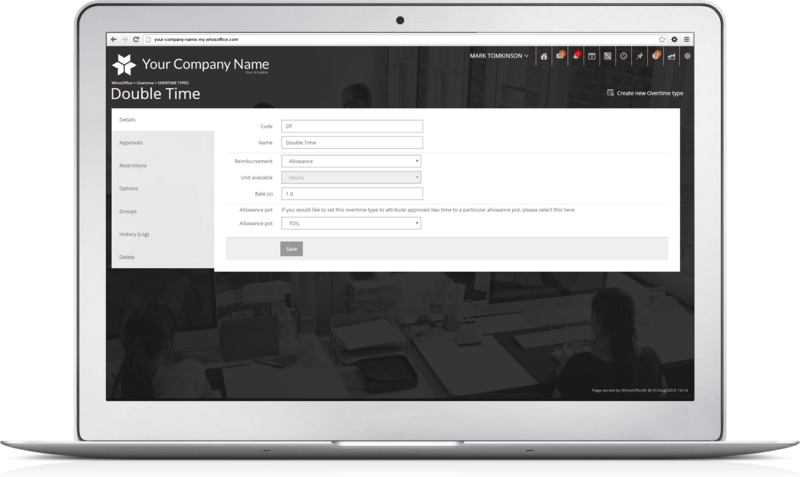 By setting permissions on groups you can easily set who can use which overtime type (if any) along with setting single or multiple approvers, as Overtime is separate from Leave in the system, you have the ability to setup different Approvers for your Leave and Overtime. You can have as many Overtime Types as you feel you need, each Overtime Type can be customised to better suit the way that your company works. In the Work Planner, you can see who is working overtime when which makes it simple to see who is available/unavailable for shifts that may need covering. Customisable reports let your print/export overtime information across a period as necessary.